This necklace by Joaquin and Josefina captivates with nature's beauty. 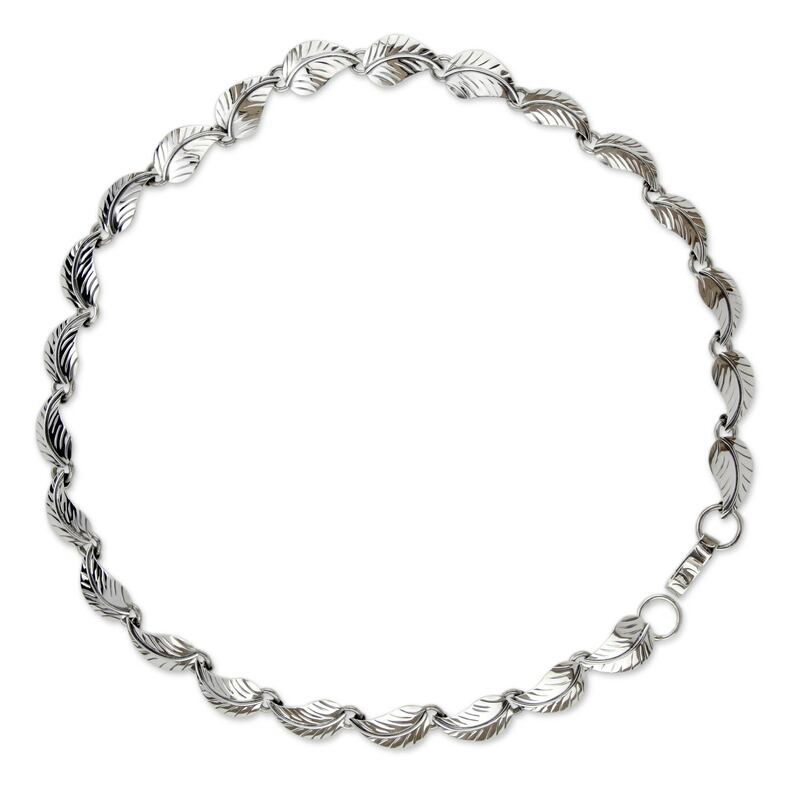 Sterling silver leaves are expertly crafted by hand and linked into a necklace of sublime elegance. "She was in charge of operations and never did we imagine that day that destiny had already made plans for Josefina and I to spend the rest of our lives together!" We at Novica at saddened to hear the news of Josefina's demise the first days of 2012. "She was able to enjoy a few moments of the New Year with all her family, and with that big smile of hers that always characterized her," Joaquin told us. Our thoughts and prayers are with Joaquin and their children, who will continue to work together in her honor. "Josefina and I (Joaquín) were born and raised in Taxco. We come from humble backgrounds and we both agree that our respective families were rich in understanding, communication, and mutual respect. "My father is a silversmith who began teaching me when I was a little boy. As I grew up, so did my interest in the art of silver work. I managed to finish high school but due to financial circumstances I wasn't able to continue studying. However, by this time I was enjoying the fact that I was designing and crafting my own pieces, and I realized I wasn't interested in doing anything else. My first original piece was a photo frame, which took me a lot of effort to finish because it was designed for six photos. "I still remember the day I went to a very important company to offer my pieces, because that's the day I met Josefina. She was in charge of operations and never did we imagine that day that destiny had already made plans for Josefina and me to spend the rest of our lives together! Love has made us an inseparable couple, and together we have faced many hardships and illnesses. For example, there are times when neither of us can do ordinary things we often take for granted, like running, lifting heavy objects, or eating any type of food. Or when we go somewhere, I carry my wife's oxygen tank. "We are a couple that lives for today. 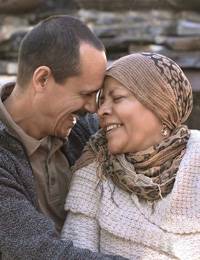 Cancer has taught us to value every second, minute, hour, month and year. We see it as a gift from God for which we give thanks daily. He instills in us an extraordinary sense of strength which gives us the courage to move forward despite this illness. "There are days when cancer gets a hold of us and makes us feel really bad, fatigued. There are times, after chemotherapy or when we're taking our medication, that every step we take makes us feel as if our bodies are as fragile as crystal. And yet, through it all, my wife never gives up and neither do I. I wish for the day when I can see her as healthy as the day we first met. "Time and our enormous desire to live have made us feel better and we have learned new techniques for engraving, chiseling, and more. We've been working for over 25 years and at the end of 2010 we opened a little showroom for the very first time. This has made us realize that our pieces are truly worthy of admiration, as demonstrated by the people who have come from all over the world. That makes us feel very proud. "I would describe our style as classic baroque, and our inspiration comes from nature. This we attribute to my wife's father, who taught her to love and look after our surroundings. Josefina has a unique way of thinking and living life which gives each design a new perspective – they seem to come to life! "Thank you for your interest in our work, which is crafted by hand with good quality. Our pieces evidence our love for you.